Time for a quick holiday visit to Paris on our way back from the south of France to the US – and we’re checking out a new-to-us hotel this time. 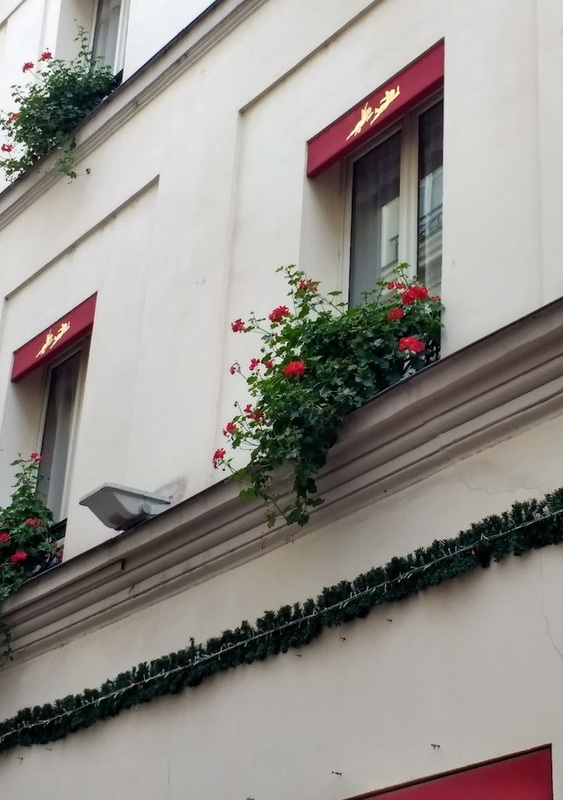 We arrive around noon after a speedy TGV (fast train) trip from Aix, and the Grand Hotel Dechampaigne, red geraniums tumbling from every window of the 16th century former townhome, has a room ready for us – thanks for the early checkin! 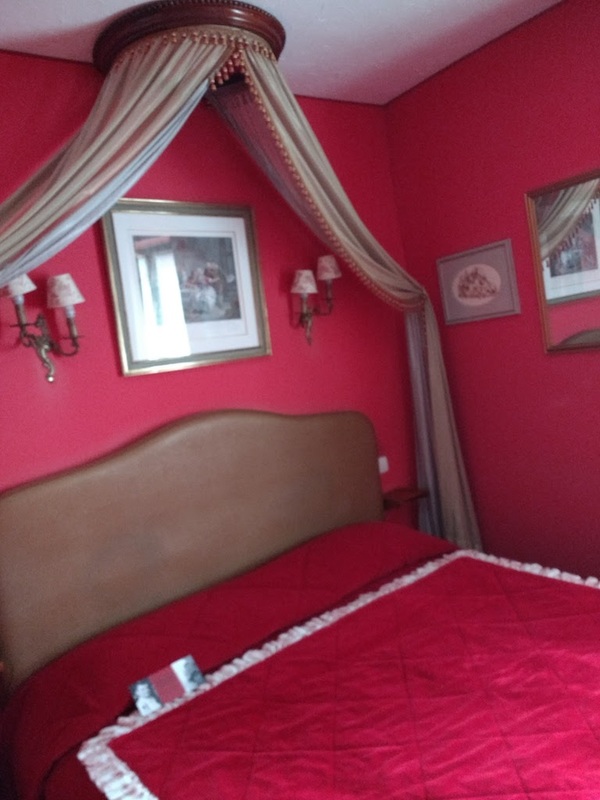 That red theme continues into our boudoir-like room and spacious bathroom of this excellently located hotel. 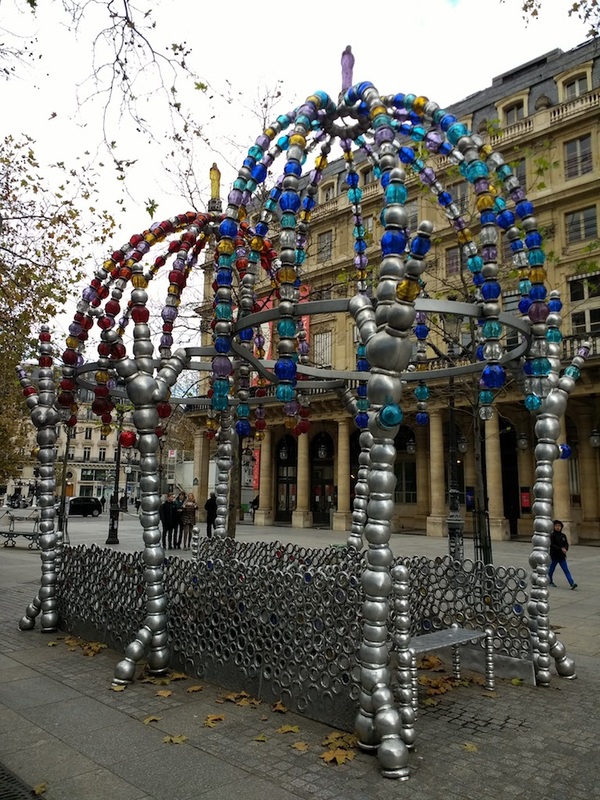 After 3 plus hours in the train, we’re ready to walk, and take in the Parisian eye candy (this is a metro stop!) on our way to the Grands Magasins (big department stores) whose Christmas windows we’re eager to see. 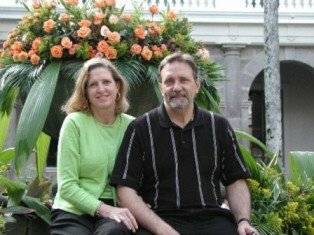 We’re meeting our friends, Ed & Sandy, beside the opera – can’t miss it! 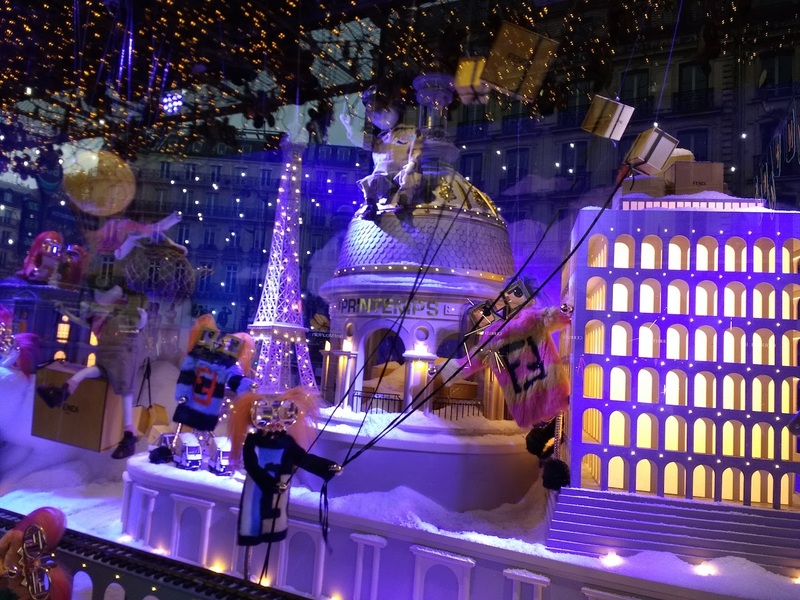 And from there to Galeries Lafayette, whose windows this year are themed as a “fairground with a surrealist twist” – hmmm. 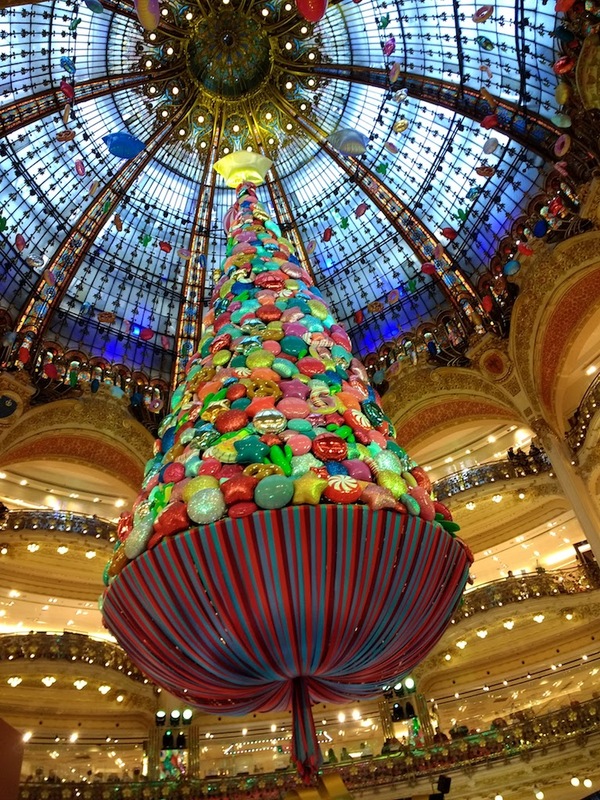 The tree inside (a candy theme here) is spectacular – worth jostling through the crowds to appreciate! 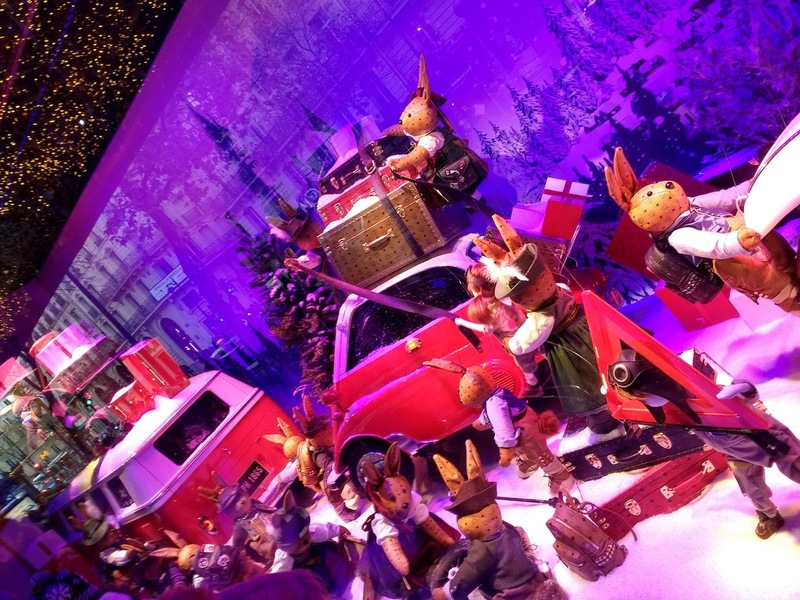 As in past years, Printemps wins my vote for the best windows, with their playful Magical Journey theme – the Thalys (train from Paris to Brussels) whizzing by in one window, a vintage VW van chugging along in another, Parisian icons gleaming beside. I love this tradition of meeting friends and seeing the holiday lights and sights! 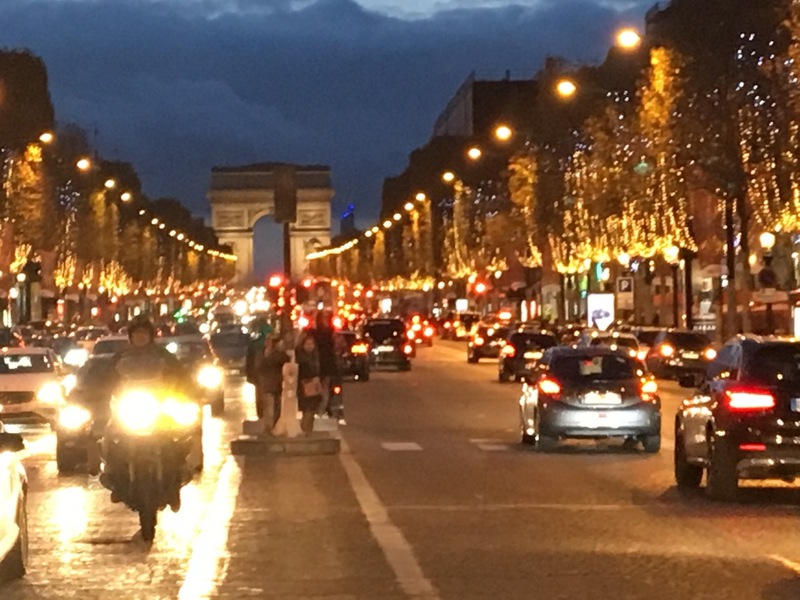 Ed and Sandy want to see the lights along the Champs Elysees too – and we’re game! We all stand in the middle to snap a shot of the shimmering boulevard. 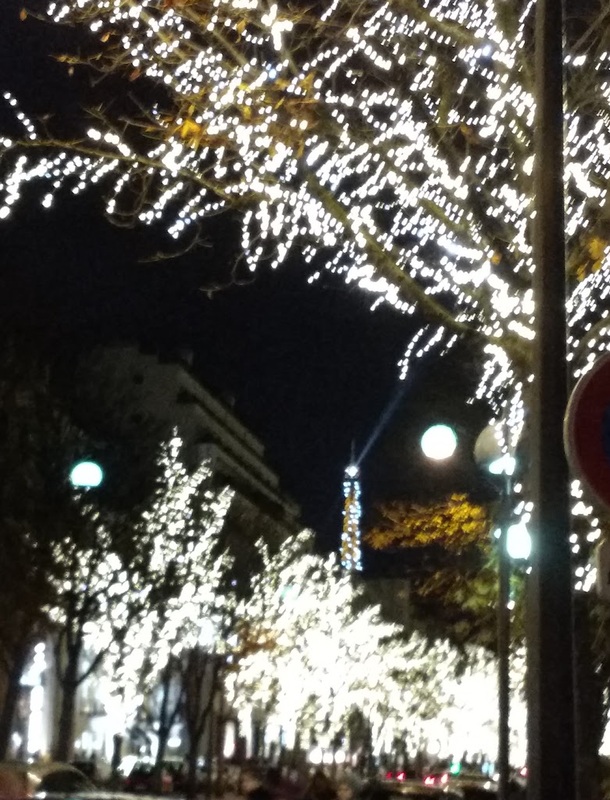 Then we just keep walking, and as we head down sparkling Avenue Montaigne the Eiffel Tower across the river begins to twinkle…. 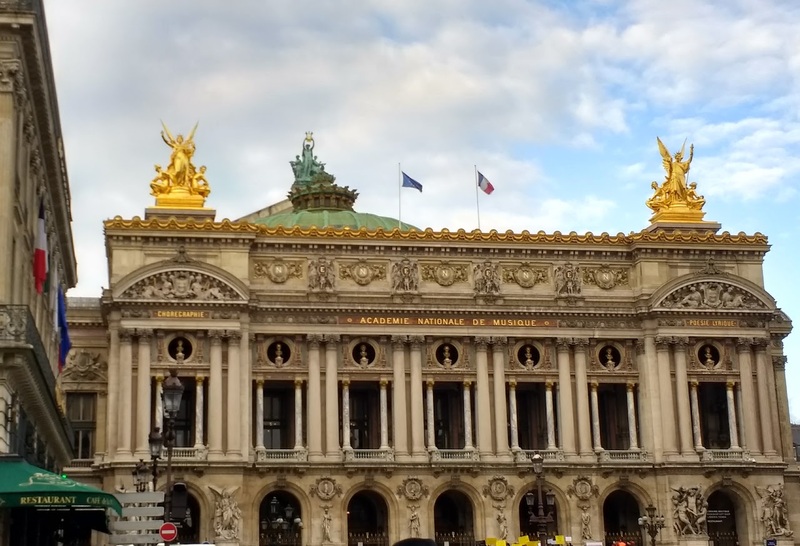 aah, Paris, you’re ever a sparkling jewel! 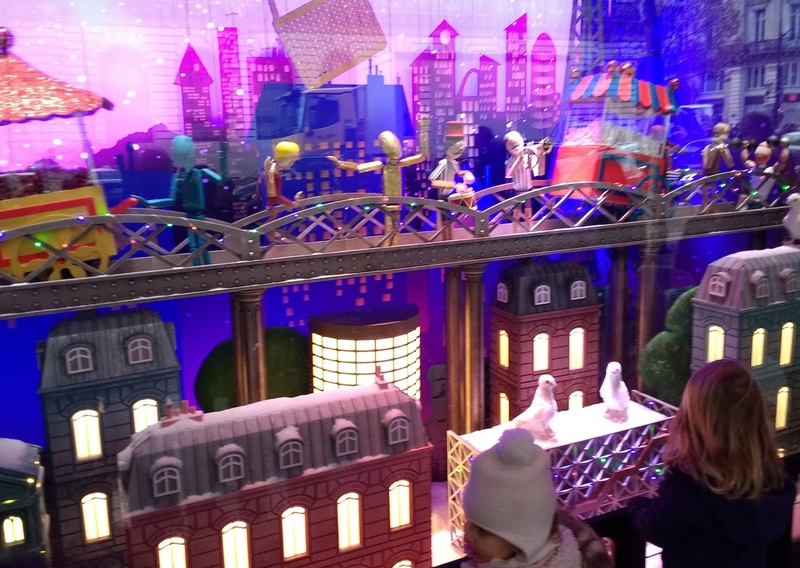 This entry was posted in France, Paris, Paris Holiday Windows, Paris metro, Printemps by Anne Woodyard. Bookmark the permalink.